Due to the increasing demands of our esteemed clients, our company brings forth a quality range of Sludge Pump JSE. Our entire range is widely used in high and low temperature as they can withstand harsh working conditions. 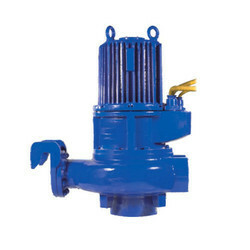 Due to its precise design and excellent finish, this Sludge Pump is appreciated all over the market. Application Sludge Wastewater, Pulp Effluent in Paper Mills, Transfer of Suspended Solids. The working of Pneumatic Submersible Sludge Pump provides users with a high degree of reliability. It is built to work in harsh industrial conditions and in a low temperature. It is used as a driving force for pulp effluent in paper mills, carrying sludge water waste and in transfer of suspended solid. It has a capacity of 150 cubic meters per hour. Our procedure makes the pumps safe and durable. 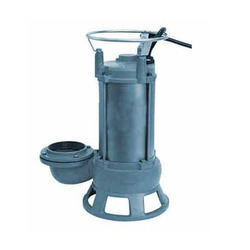 Looking for Sludge Pump ?